Prominent & Leading Manufacturer from Indore, we offer lamination film, multilayer plastic film, printed shrink wrap film, pet release and lay on film, anti static film and ffs embossed and printed films. Co-extruded PE Lamination Film in up to 3 layers with one-side CORONA treated for SOLVENT BASE AND SOLVENT LESS lamination. Used as sealant layer in 3 and 4 layer laminates of PET & BOPP. 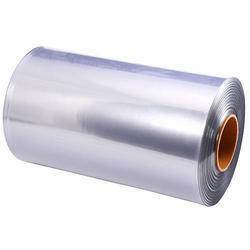 This lamination film is available in various sizes as per the requirements of our valuable clients. The provided lamination film is widely appreciated by our precious clients for its moisture resistance and optimum finish. 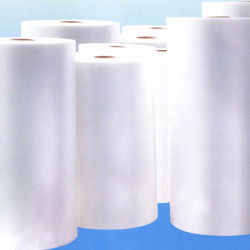 This lamination film is manufactured using the best grade basic material and modern machines. Owing to the immense experience and a competent team of experts, we are able to offer Multilayer Plastic Film to respectable clients. These multilayer plastic films offered by us are made utilizing high grade raw material, which is sourced from trustworthy vendors of the market. In addition to this, the offered range of multilayer plastic films is appreciated for its easy operations and precision design. 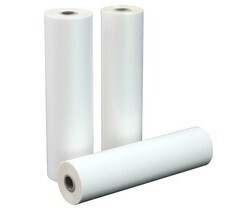 Printed Shrink Wrap Film with excellent shrinking ratio when heated by Hot Air gun or in a shrink tunnel. Used to bundle/unitize multiple products and display them in an attractive packaging with a see-through over wrap. Economical as compared to corrugated boxes, cartons. 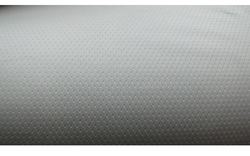 PET Release and Lay On Film used in making surgical medicated tapes and during the rubber curing process for tyres, retreads, rubber sheeting, patches & linings. These products manufactured by making use of the high grade basic material, sourced from the prestigious vendors of the market. In addition to this, we keep in mind the defined quality standards of the industry during the manufacturing these film. We offer Anti Static Film used For packaging of empty gelatine capsules, fine powders, electronic components, we make Liner bags with Anti Static properties so that the product does not cling/adhere to the bag when emptied. Owing to our expertise in this domain, we are involved in offering an exclusive assortment of FFS Embossed and Printed Films to our prestigious clients. This film is designed and developed with quality approved basic material and plated with finest coating to assure its rust proof nature. 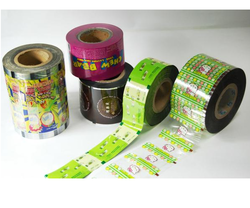 Additionally, our film is provided in varied sizes to fulfill the requirements of various customers. We offer a import substitution product, PE films duley printed and EMBOSSED with ANTI SKID PATTERN for making 25/10 kg bags on FFS machines. These are used for packing Polymers, Chemicals and any free flowing granular products. Our film is being used by one of the top companies in India. The Anti Skid pattern duley embossed on the film prevents slippage of bags when pellatised. Extrusion Coating of FONGKEE TAIWAN. Solvent Less Lamination of NORDMECCANICA ITALY.